Piccolo, 2 flutes, 2 oboes, 2 clarinets in B-flat, 2 bassoons, 2 French horns in F, 2 trumpets in C (parts available in B-Flat or C), percussion (3 players), timpani, strings. 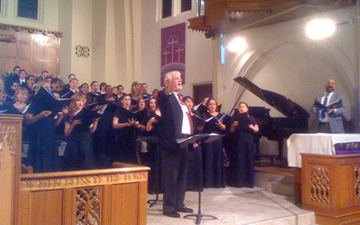 For two-part chorus (treble, male or mixed) and strings (or piano or organ). From Whence Does This Union Arise? 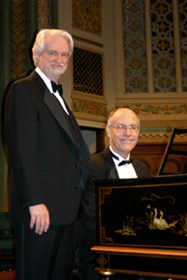 Nick Strimple with harpsichordist David Lowe at the World Premiere of Strimple's Harpsichord Concerto in Amarillo, Texas, 2007. 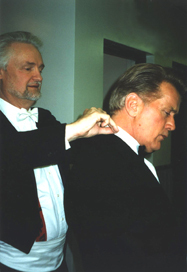 Backstage with Martin Sheen at a concert in Beverly Hills, 1999. 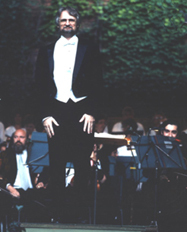 Strimple taking bows with Nuremberg Symphony following a concert, 1990. 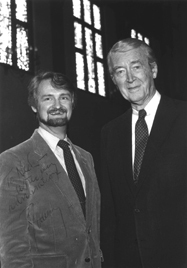 Nick Strimple with James Stewart in Beverly Hills Presbyterian Church, 1985. Composer William Hilsley and Nick Strimple following a concert in Amsterdam, 1999.